No Bake Cheesecake with Fresh Berries - Ready in 10 Minutes Flat! Disclosure: I received free samples of SPLENDA® Naturals Sugar & Stevia Blend mentioned in this post. 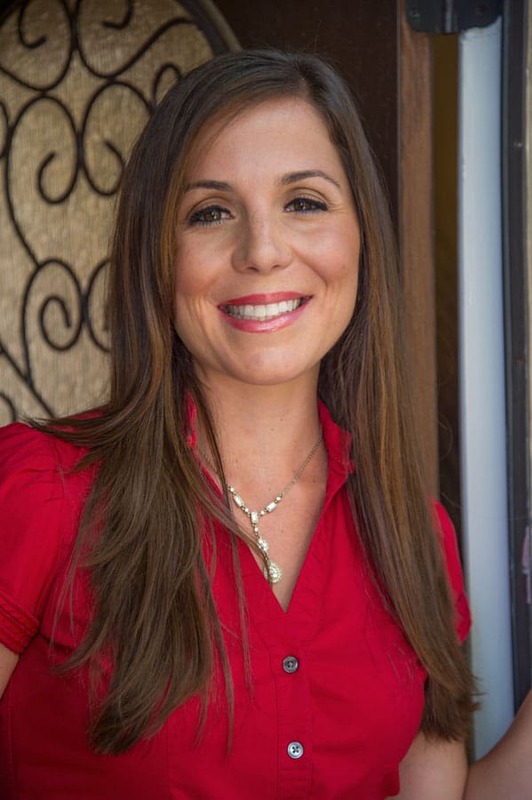 By posting this recipe I am entering a recipe contest sponsored by SPLENDA® Sweeteners and am eligible to win prizes associated with the contest. I was not compensated for my time and as always, all opinions are my own! If I’m being 100% honest, I had to enter this recipe contest when I saw it come through my email in honor of my Grandpa. As you know from my past posts here and here, my sweet Grandma was probably my most favorite person on the planet. Lately, I’ve been hearing more and more from my mom that her other half, Grandpa, is really having a hard go. It breaks my heart to think of him spending his days pining over being reunited with my Grandma. Then, one day my moms story changed. In a weird way, that brought so many tears to my eyes. Again, food, this source of fuel for our body, is actually a source of emotion, a source of joy, and a source of fond memories. But, I knew very well that the traditional recipe used was not the best for his diabetes and impending heart surgery next week. So, off to the kitchen I went with the new SPLENDA® Naturals Sugar & Stevia Blend in hand. First things first, this product does not contain any artificial sweeteners like Sucralose or the others. It’s made from a unique sweetness from Reb D, one of the tastiest parts of the stevia leaf. 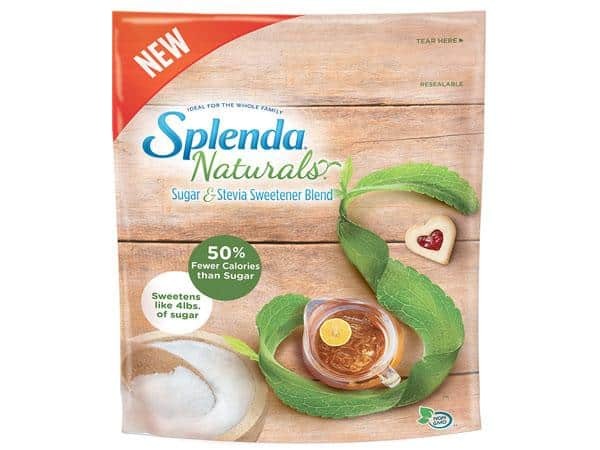 Like some sugar alternatives, SPLENDA® Naturals Sugar & Stevia Blend does not have a bitter aftertaste and can actually be swapped for half the amount of regular sugar. Now, this recipe still has cream cheese, its still got a delicious graham cracker crust and fresh berries, but, it’s nixed the powdered sugar of my moms traditional recipe for the new SPLENDA® Naturals Sugar & Stevia Blend. And, of course, just like Grandma’s Snow Ball Cookies, it’s made with lots and lots of love! Are you ready to dive in now?! A delicious no bake treat ready in no time flat! Filled with 50% less calories than your traditional cheesecake and so many varieties to choose from! Set cream cheese on the counter for 5 minutes to soften while gathering other ingredients. In a medium bowl, using a hand mixer beat cream cheese until smooth, about 1 minute. Add in yogurt and beat another minute. Stir in the SPLENDA® Naturals Sugar & Stevia Blend, vanilla, lemon zest, cinnamon and salt and continue to mix another minute. 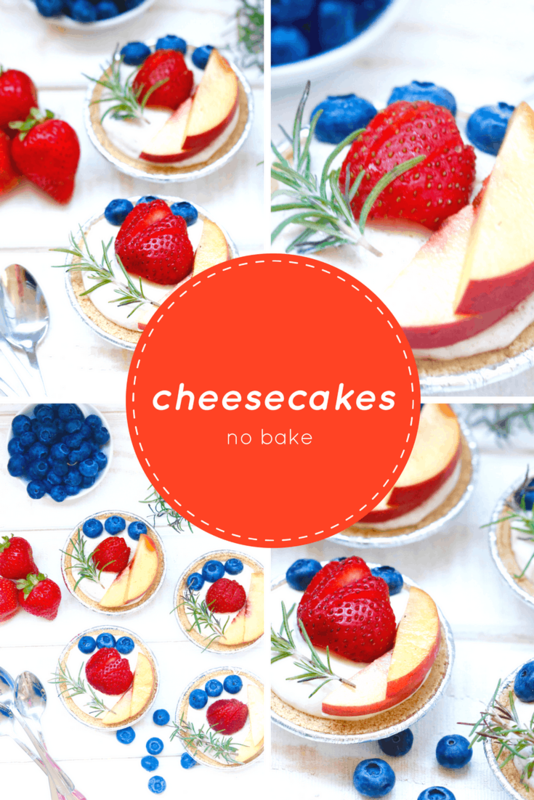 Cheesecakes can be served immediately, but for best taste, let refrigerate for 30 minutes prior to eating. 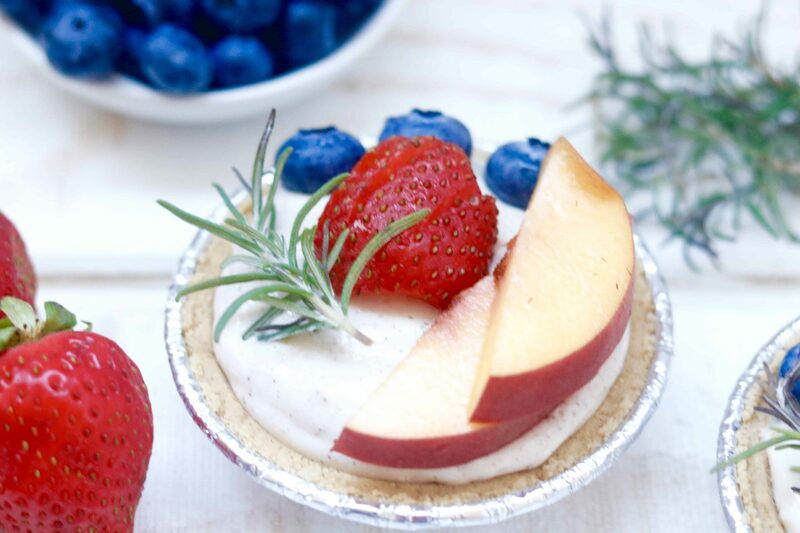 Top with fresh berries and a sprig of rosemary for color. I promise, if you’ve got 10 minutes to spare you definitely need to give this baby a whirl. It’s delicious, nutritious (hello simple swap of Greek yogurt) and can be turned seasonal with just a few #shawkitchen hacks! Be sure to check out the other fabulous entires into the contest below! Thanks #TheRecipeReDux for hosting this for us! 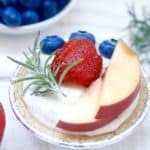 This looks like a delicious, healthier version of a no bake cheese cake – I will definitely have to try it this weekend for my Labor Day cookout! And I love that you made the recipe for your Grandfather… such a sweet story. What step do you recommend adding the sweetener? Thanks so much! Well that’d be helpful huh? Lol- right before the vanilla! Just updated, thanks! I LOVE a no bake cheesecake. 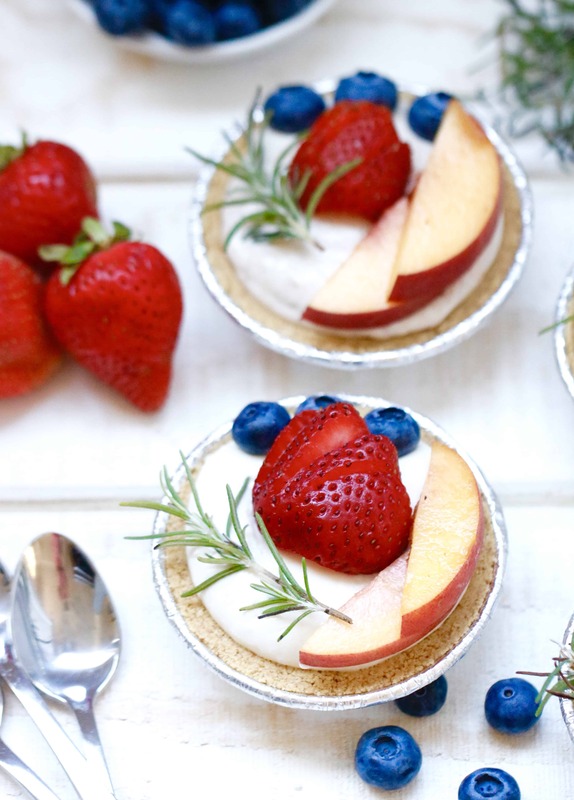 This is the perfect dessert for kids to make. The rosemary is so unexpected, but maybe it should be. It sounds like a perfect combination. It’s the perfect splash of color right?! Such a sweet story! Best wishes for your grandfather 🙂 this cheesecake also looks wonderfully tasty! Love the seasonal suggestions that you added. So you are saying that only 10 Minutes stands between me and this delicious dessert? Yes Please! !